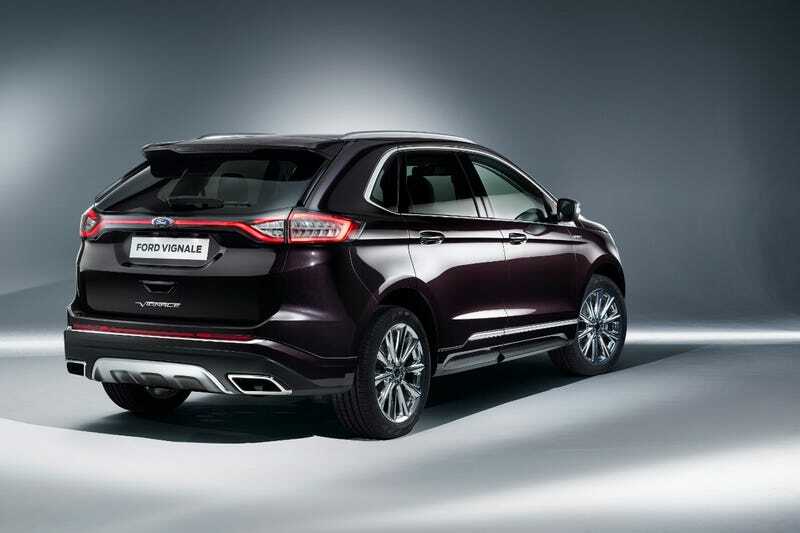 Ford sells a (Canadian-built) Edge Vignale in Europe. Neat. I’d drive one. And apparently the Australians are getting the Ford Endura, which is a seven seat version of the Edge meant to replace the Falcon-based Territory. I’ve always thought the Edge was a bit weird looking in the back, but this kinda fixes it. I could genuinely see a 7-seat Edge coming to the rest of the world to compete against stuff like the Highlander and seven seat Santa Fe, probably replacing the slow sellling but cool looking Flex.